Happenings within the Southwest geopolitical zone in recent times leave the impression that the Yoruba ethnic stock does not forget the traditional threads that bind them as a people. Unarguably the most homogenous in terms of language, cultural and historical background, the Yoruba remains adept at forecasting the future political dynamics of Nigeria. Supported by its traditional respect for elders, the Yoruba has always been blessed with foresighted and affective leadership. From Obafemi Awolowo’s Egbe Omo Oduduwa to Afenifere, the Yoruba of Southwest Nigeria has always fallen back on such socio-cultural organisation umbrellas to envisage the political environment in the country. It is through such grouping that the Southwest has been able to continually consummate bloc votes in general elections, such that at a time virtually all the states in the geopolitical zone belonged to same political party. 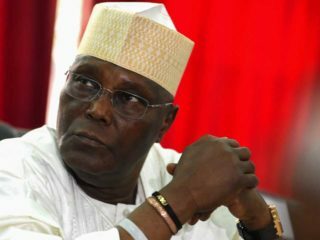 From its narrow base as a regional power bloc, Nigerians saw in 2015 how the Southwest engineered a massive political onslaught against the ruling Peoples Democratic Party (PDP). Having achieved the feat of dethroning a sitting President through a popular vote, the Southwest refused to be contented with tokenism of political power, represented in individual appointments. Like a forward looking corporate organisation, the zone decided to carry out a thorough cost benefit analysis, reviewing how far its shared valued in good governance has been met by the mainstream they amalgamated. Meetings were held by stakeholders, particularly among the governors of its six states, followed by a bold attempt at agenda setting for the next election around the topical issue of restructuring. In all these confabulations, former Lagos State governor, Asiwaju Bola Tinubu, carved the image of successor of Awo, through his constant envisioning of socio-political blue prints that would help deliver a better society. And, without feeling bitter about the turnout of events after the extraordinary defeat of an incumbent federal government, Tinubu chose to organise further, rather than agonise. So within a space of one month Otunba Gani Adams was elevated to the vacant traditional warrior position of Aare Onakakanfo (Generalissimo) of the Yoruba. Trailed by the recent historical meeting between the binary tendencies of Afenifere Renewal Group and the mainline Afenifere. 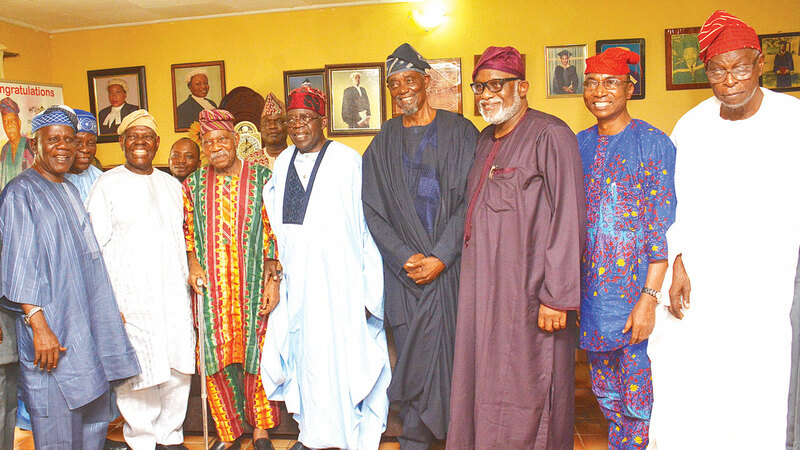 or Yoruba elders committee at Pa Reuben Fasoranti’s place in Akure, there can be no mistaking the point that the Southwest is preparing for another socio-political battle. The fact that Tinubu emerged from that fence mending meeting to drop what could be described as a political bombshell, buttresses the speculation that the Southwest is getting ready to play as a team in 2019. It was not couched in double speak, rather Asiwaju said it in clear and unambiguous language that APC, which the Southwest helped to galvanise, would not grant President Muhammadu Buahri automatic ticket in the event that he desires a second term in office. The bold statement could also be interpreted as an attempt to puncture the egotistical claims of some serving political upstarts that they possess the soul and scepter of the party. By denouncing the automatic ticket kite floated by Imo Statue Governor, Rochas Okorocha, that virtually all APC governors and some in the opposition have endorsed Buhari for second term, Tinubu betrayed the battle lines that lay ahead. For a greater part of the past three years, Southwest politicians have been united in the feeling that the zone has been suffering cycles of betrayals from a certain segment of northern leaders. They refer to the annulment of presidential election, allegedly won by Chief Abiola in 1993, the supplanting of Chief Olu Falae through the imposition of Chief Olusegun Obasanjo and recent sidelining by Buhari in decision-making at the centre, as evidence of such perfidies. Preparatory to warding against further inequitable alliances, the zone seems to be designing a new strategy to ensure that it not only dictates the tempo of 2019 politics, but also to put its best men up front. And so from snippets of information the plan is said to be unfolding how the Southwest desires to throw up a northern Christian in 2019, preferably from the Middle Belt for a change and to make the contest very competitive. Of course, to achieve that purpose effectively the stakeholders understand that unity remains their greatest source of strength. 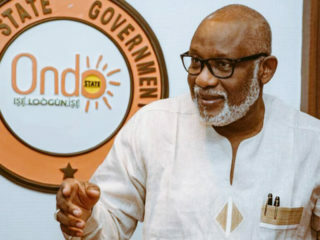 That may explain why the Ondo State Governor, Rotimi Akeredolu, former APC interim national chairman, Chief Bisi Akande and the party’s national Vice Chairman (Southwest), Chief Pius Akinyelure, accompanied Tinubu to the meeting with the Afenifere leader, Chief Reuben Fasoranti. It could be recalled that while Tinubu founded the Afenifere Renewal Group to vitiate the impact of Afenifere in the zone, which helped him square up against the PDP and former President Goodluck Jonathan, the APC leader must have come to the realization that such division was not needed in the battle ahead. And in a veiled acknowledgement of the credibility of Afenifere’s calls on him to be wary of Buhari, Tinubu underscored the fact that he was in Akure “to acknowledge the leadership of Pa Fasoranti as a great leader of the Omoluabi (albeit) in the evening” of his days on earth. But on a national note, could it be that the Southwest is keeping its house in order to ensure that the clouds of uncertainties surrounding APC do not take it unawares? Would this much sought after reconciliation lead to the reunification of various political tendencies in the zone? At the end of the day, could the efforts culminate in the resuscitation of Alliance of Democracy (AD) or any such political grouping similar to Action group? As new trends unfold, it would be clear by the day that as always, the Southwest will deploy its political foresight to remain the chief influencer of the socio-economic dynamics of Nigeria.